Day three of Hummus for Lunch. There’s really nothing to whipping up quick delicious lunch when you have hummus in the fridge and farm stands are brimming with lovely thing to cook. On Saturday we bought okra from Plowshares Farm at Milford’s new farm stand at The Potager 17 Bridge—right across the street from our train station! Aren’t we the lucky ones? 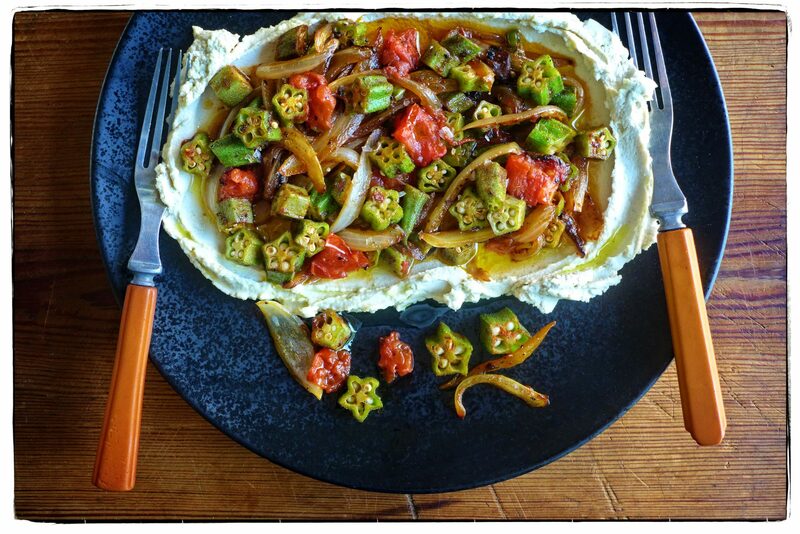 So we cooked up a mess of okra and spooned it on top of the aforementioned hummus, a match made in heaven. Only enough hummus for one more lunch. Then on Friday, maybe let’s all skip out of town early and go for a swim. Gather ye rosebuds . . .